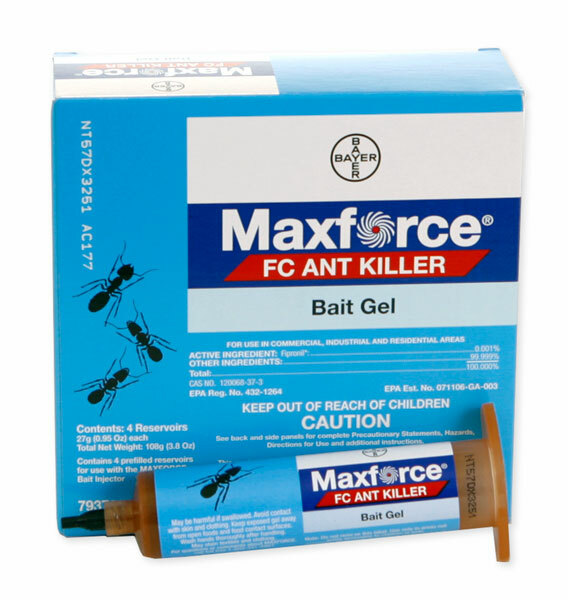 If I use a bait try can I use MaxForce on a kitchen sink.? Typically, ants around a kitchen sink are entering around plumbling lines, living in the walls, etc. Place the bait under the sink around the plumbing lines, inside the walls (remove the wall switch plates) and place it along the back of the counter or along window sills etc. Also, remember, ants come from outdoors. Something has to be done outdoors to get long term control. Either use the KM Ant Pro System outdoors or use a residual spray around the base of the foundation such as Temprid or Suspend. Ant control depends on the species of ant and where they are living. The above guidelines will help, but are not too specific because you didn't mention what species of ant or where you live. Hope this helps.